Deputy Prime Minister Arkady Dvorkovich. Deputy Prime Minister Arkady Dvorkovich said he hopes that the sanctions regime between Russia and the European Union will become a thing of the past. "Europe is probably not in such a brilliant economic position to afford to lose a partner. We need each other ... We are interdependent, very closely intertwined. 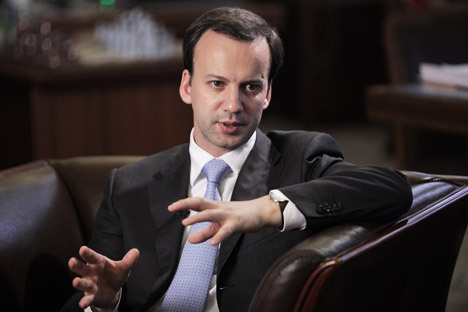 It is a huge mistake to build artificial barriers between our countries, regions," Dvorkovich said. At the same time, he noted that Russian has already began rebuilding relations with the European Union. Out of 28 countries of the union, cooperation with 19 countries was restored through intergovernmental commission. The Unites States began imposing sanctions against Russia over the events in Ukraine and Crimea’s reunification with Russia in 2014. In August 2014, Russia introduced a package of counter sanctions on the European Union, the United States, Australia, Canada and Norway. On June 29, 2016, Russia extended food embargo until the end of 2017.